In order to understand why our Toronto balance problem programs are so effective, it is first necessary to explain what causes balance problems and their associated falls. Balance problems will occur if you get poor information from your senses, have muscle weakness, have issues with your joints, or if you are unable to react quickly enough to an incident. 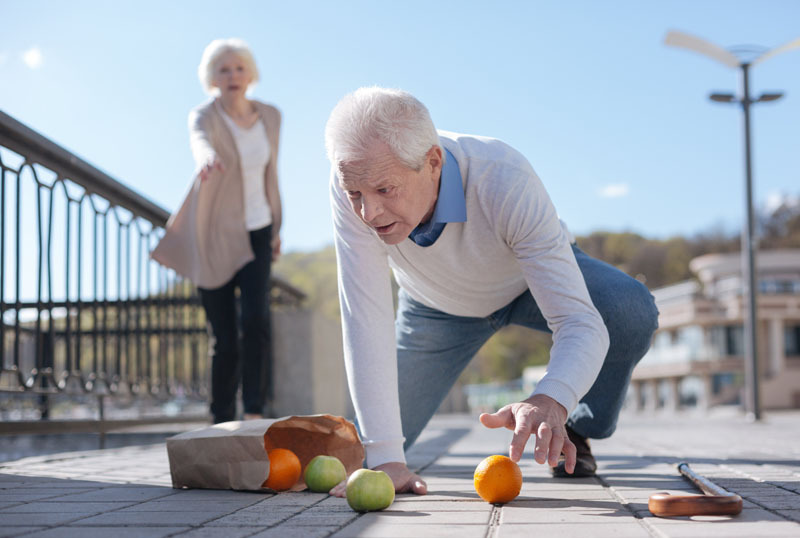 In addition, for those aged 65 or more, balance problems and falls can result from the interconnected issues of inactivity, disuse atrophy and fear of falling. Very often this leads to increasing levels of isolation and losses of independence. In the US, following an admission into hospital for a fall, about 50% of this age group are unable to return home. Also for this age group, falls are the sixth leading cause of death. They are on uneven or soft surfaces. They make quick changes in direction or head movements. They become distracted or tired. They are in low light conditions. Walking aids such as a cane and walkers. Recommendations for change of shoe wear (e.g.“icers” for walking on ice, orthotics that increase sensation in the feet).